After a few months hiatus, our miniatures sessions are back! For my part, I was keen to revisit a freshly opened bottle of the Torfa, having had a rather negative 1st experience a few years ago at Quaich in Singapore. 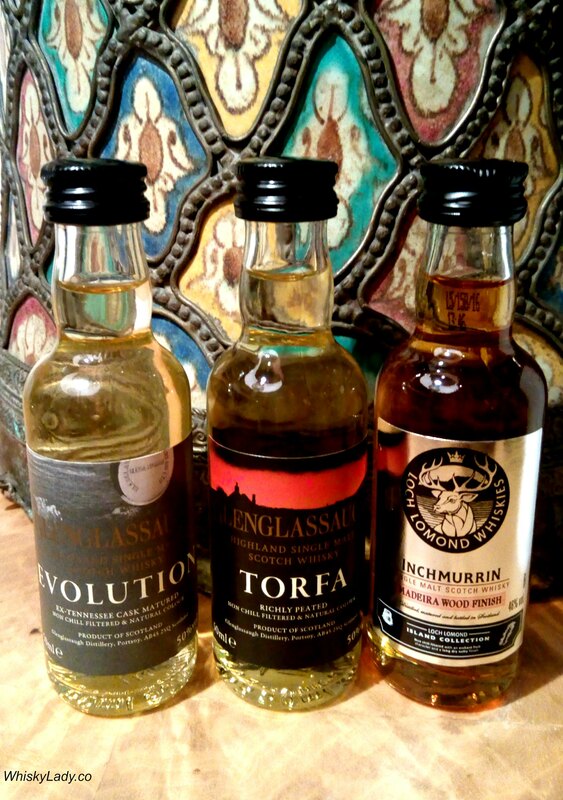 And was equally curious what else Glenglassaugh had to offer. As for Inchmurrin? I had no pre-conceived notions… however found our tryst with Pendryn’s Madeira sufficiently interesting to be curious to compare. The minis were followed by Royal Brackla 16 year 40%… just because it was already open and I hadn’t tried it yet… a most acceptable justification! Turned out to be a great food accompaniment. This entry was posted in Highland, Scotland, Speyside and tagged Finishes, Glenglassaugh, Glenglassaugh Evolution, Glenglassaugh Torfa, Inchmurrin, Madeira, Miniatures, Royal Brackla, Wood finishes by Carissa Hickling. Bookmark the permalink.